Peace of Mind package (POMPs) Platinum for PBXact UC 10 systems with coverage for 1 year from previous expiration or purchase date. 24x7 Sangoma support with SLA and out of hours emergencies Support Contract Platinum for PBXact UC 25 systems with coverage for 1 year from previous expiration or purchase date. Includes 60 minutes of Support Credits and SLA. Peace of Mind package (POMPs) Platinum for PBXact UC 60 systems with coverage for 1 year from previous expiration or purchase date. 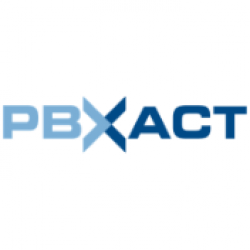 Peace of Mind package (POMPs) Platinum for PBXact UC 75 systems with coverage for 1 year from previous expiration or purchase date. Peace of Mind package (POMPs) Platinum for PBXact UC 100 systems with coverage for 1 year from previous expiration or purchase date. Support Contract Platinum for PBXact 400 systems with coverage for 1 year from previous expiration or purchase date. Peace of Mind package (POMPs) Platinum for PBXact UC 1000 systems with coverage for 1 year from previous expiration or purchase date. Support Contract Platinum for PBXact 2000 systems with coverage for 1 year from previous expiration or purchase date. Support Contract Platinum for PBXact UC 5000 systems with coverage for 1 year from previous expiration or purchase date.